Keyword Reports never looked so good 😎 ! Keyword tables, charts, and more are now available in Report! Optional: add Quality Score, Match Type, Keyword Text, and Average Position in the 'Fields' field. 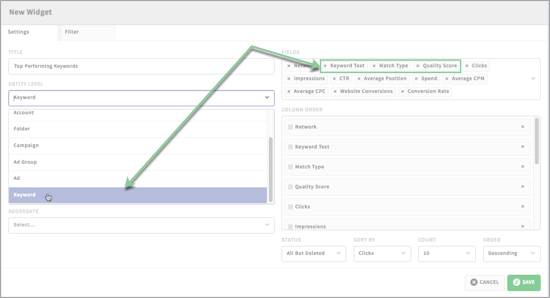 Go ahead and give Keyword reports a try, let us know what you think :)!